Fotoworkshops is aligned with affiliate brands that we believe help the photographic industry grow and above all provide photographers with the tools to produce better images. Below are some recommended brands that we partner with. Check out our online store for gear, deals and offers from our affiliates. Ever since its establishment in 1917, Nikon has been focusing on light and expanding the possibilities of light as a pioneer of optical technologies to the world. To express our gratitude to all of our stakeholders who have faithfully supported our development in the past 100 years and help achieve a future full of hope, we will continue to strive to gain even deeper trustworthiness from our customers in the industrial, medical and scientific fields while delivering exhilarating experiences to our customers in the imaging field. Every day we reach into our bags and packs to grab something we need. We adjust the straps, clip or unclip accessories, maybe snap one of the pouches closed. We’ve been doing this exact thing for thousands of years. And while this repetition of behaviour might seem trivial, think about what a marvel of invention each one of those small devices, from hooks and loops to snaps to buckles, really is. These relatively simple designs continue to be used in everyday life, all around the world. In this episode of the gear corner, we look at the different kinds of hardware we use on our bags, and what the future of hardware and fasteners might look like. What started in 1990 as a personal challenge to create a better quick-release plate has grown into a mission to deliver superior camera support systems from the ground up. To date we’ve shipped to over 120 countries around the world, and we continue to grow every year. Our product line has expanded from a handful of custom camera body plates to an extensive line of support products including hundreds of custom plates, clamps, flash brackets, pano gear, studio gear, ballheads, gimbal heads, tripods, and now fluid heads. Created For Life’s digital colour lab, pushes the quality of fine art printing to bold new levels. Created For Life was established specifically for the discerning artists who demand the utmost in excellence and archival permanence in their prints. Our professional, highly skilled staff, with their understanding of colour deeply rooted in their traditional craft, utilises state of the art equipment to provide you with the highest levels of expertise available in colour printing anywhere. 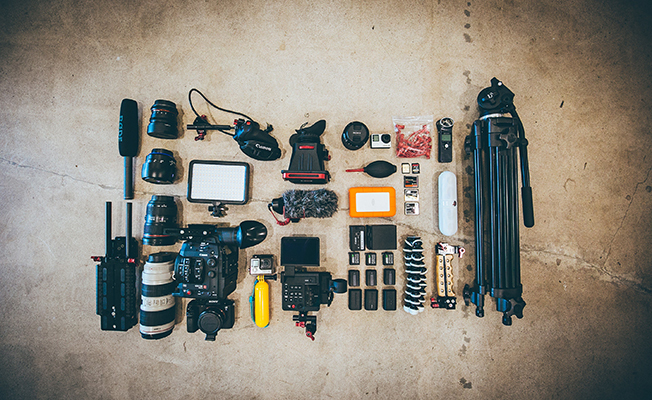 If you’re an amateur or professional photographer, Aperture Australia is THE annual conference to attend if you’re committed to sharpening your craft and connections. Even if you’re not a photographer, the powerful images and presentations from Australia’s best are sure to blow you away. both amateur or professional, and anyone interested in photography.